Kamen Rider Calliope Update 2! Big news! 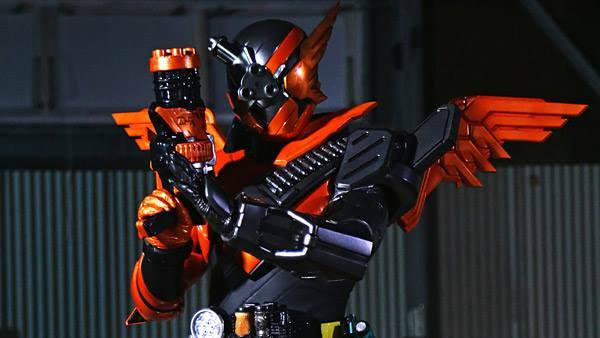 Kamen Rider Calliope has an official publishing date. Drop by the site around 9:00 am on January 14th to read the first part of Myth 1! Something I’ve struggled with in explaining Kamen Rider to the uninitiated is how “it’s a show that’s merchandized to little kids, but the storyline and character development are written for an older audience”. I feel like that idea can’t expect a warm reception from people who are used to Western (or maybe just American/Canadian?) TV shows. In the culture I grew up in, if a show is made to sell toys to four-year-olds, you can safely assume the plotlines you’ll see are generally mind-numbing to anyone outside of preschool. YES, DORA, IT’S THE BLOODY MAP, WE GET IT, HURRY UP AND GET EXPLORING.